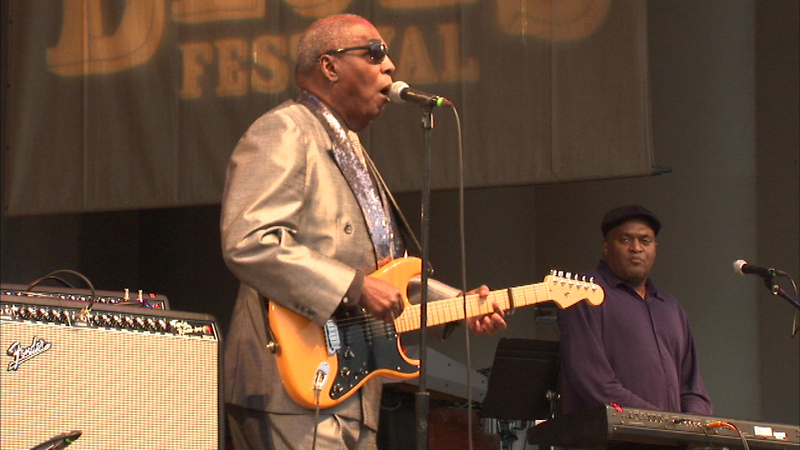 Blues guitar master Clarence Carter kicked off Blues Fest in Grant Park Friday night. CHICAGO (WLS) -- Blues guitar master Clarence Carter kicked off Blues Fest in Grant Park Friday night. Carter has been blind since birth. His performance is sponsored by ADA 25, which commemorates the 25th anniversary of the Americans with Disabilities Act. Blues Fest runs through Sunday.